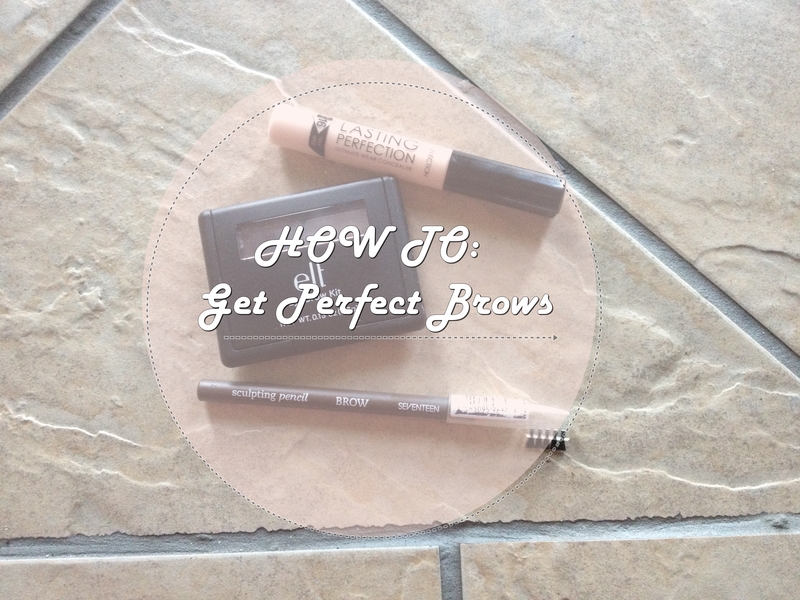 HOW TO: Get the Perfect Brows! After 2 months of neglecting my eyebrows and letting them grow out to the point of no return I thought that this week would be the week I get my life back together and get my eyebrows sorted out! I love the feelng of freshly groomed brows but I never seem to have time to book an appointment and get them done , from being busy all week with college and then being away at the weekends , I just haven’t been able to find the time to take care of them the way I want to. I decided last night that I needed to get my brows back on track and get them back to where they used to be! I first take a pair of tweezers to shape my brows ( I would recommend googling eyebrow shapes and even using stencils to determine what shape would suit you ) I plucked any hairs that were making my brows look a little messy and untamed. I then take a pair of little scissors to trim my hair so that it looks neat and tidy and they don’t look like I was in a 2 month long feud with my brows, I then tend to go in with an eyebrow spoolie so I can see if I missed any hairs. Personally , I don’t like tinting my brows , I find that tints usually work out too dark for me , so I end up just filling my eyebrows in. I tend to switch up brow products quite a bit . Right now I’m going in between the Seventeen Eyebrow pencil and the Elf eyebrow kit in light. I like these two products because they both differ from each other in texture so they give off different desired looks. 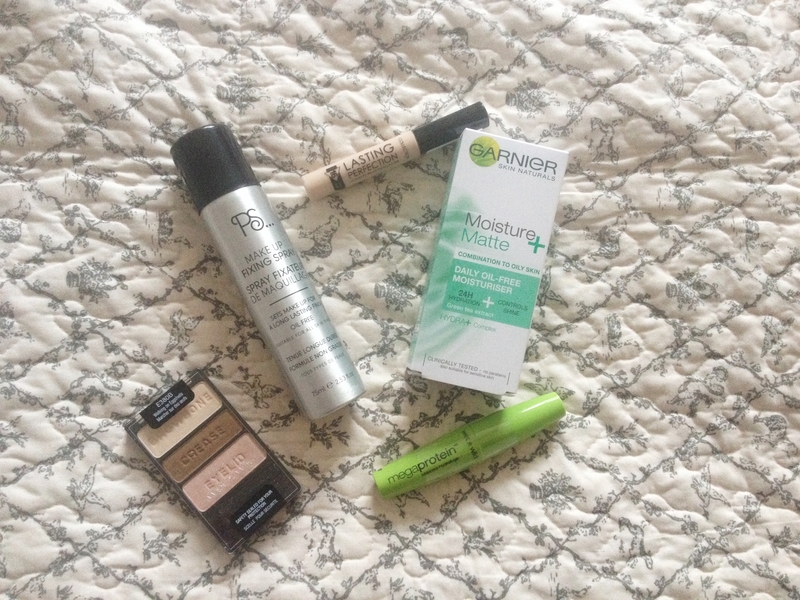 The pencil is amazing for a more natural look , and the elf eyebrow kit is amazing for wanting fuller eyebrows. After I have filled in my brows I then take the Collection Lasting Perfection Concealer I use this to clean up and carve out my brows , it really makes your brows stand out and all your hard work is on show! This is a very simple and easy way to maintain your eyebrows , it doesn’t take too long maybe 15 minutes tops and then your eyebrows are looking professionally , freshly done for the next few weeks! I like doing my eyebrows myself because I feel I know what looks best for my face shape and where exactly to leave hairs and tweeze hairs. I hope you enjoyed this short but sweet post , once your eyebrows are groomed you feel ready to take on the world! If you have any questions drop them in the comments below. You can follow me on Twitter , Instagram and subscribe to me on Youtube. Acrylic storage – I got this from a little discount store in my area for around 20 euro but I’m sure you can find other storage like this on amazon or ebay. I am currently waiting to get some hollywood lights and a big old mirror up but wanted to get this version of my vanity up first because I was too excited and I also wanted to see how the process would look like getting everything ready and sorted. I hope you enjoyed this rather differnet post and don’t forget to thumbs up the video!! It would mean a lot! I know the quality isn’t superb I’m still getting used to some things but I’m hoping i’ll get better at editing and all that jazz later on!It literally looks like I filmed on a potato but I’m sure I’ll be A OK once I have my better camera on me! 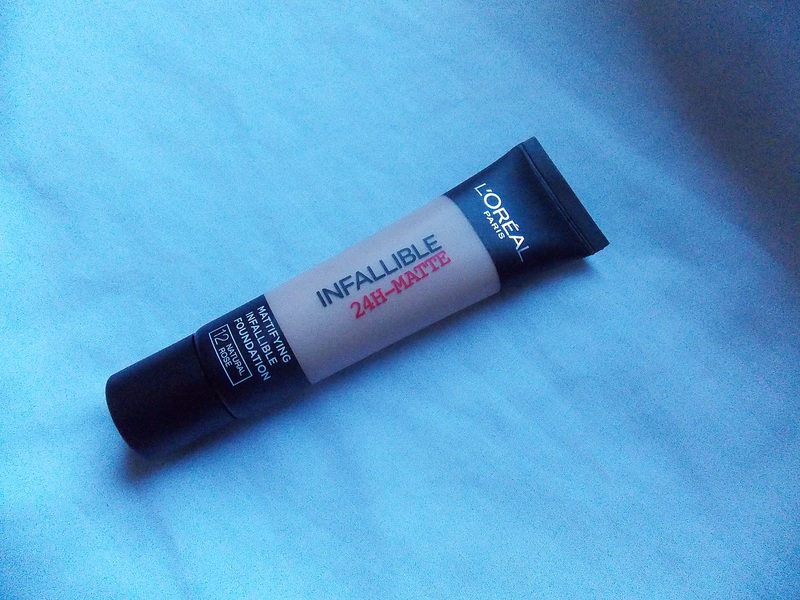 Today I’m going to review one of the most raved about foundations on the planet these days and it’s the L’Oreal Infallible 24 hour Matte Foundation. This foundation is being talked about on every platform online and it’s really no surprise! Many Youtubers and Beauty Bloggers use this foundation and swear by it so I thought I would do a full , in depth review on this product for you all today. Including a makeup look I did with it and how it held up throughout the night. I picked this product up because I seen Desi Perkins and LustreLux on Youtube rave about it and their foundation is always flawless so I thought I would give it a go! Nothing too special about the packaging on this one , but it is rather sleek and matte, perfect for the sort of foundation thats inside! I’m actually loving the fact that its in a tube , I’ve never actually owned a foundation in tube form but it does remind me of the MAC studio sculpt foundation with its long tube packaging. Okay… the smell, probably one of the things people will either love or hate about it , personally I like it , it smells like MAC foundation a little “paint” like and strong , but I sort of like that smell, It reminds me of the smell of higher end foundations and that’s one of the things that caught my attention about it in the first place! Oh … my …. god! The coverage! As someone who loves their full coverage high end foundations I absolutely adore this drugstore one! the coverage is unbelievable! Applying this foundation is a dream, I buff it into my skin with a Real Techniques Buffing Brush and it just offers such an amazing coverage , any little imperfections is more than covered with this foundation. If you love full coverage I would 100% recommend this foundation , If you like more of a natural look, this one isn’t for you! I can build this up and it will NEVER EVER look cakey! 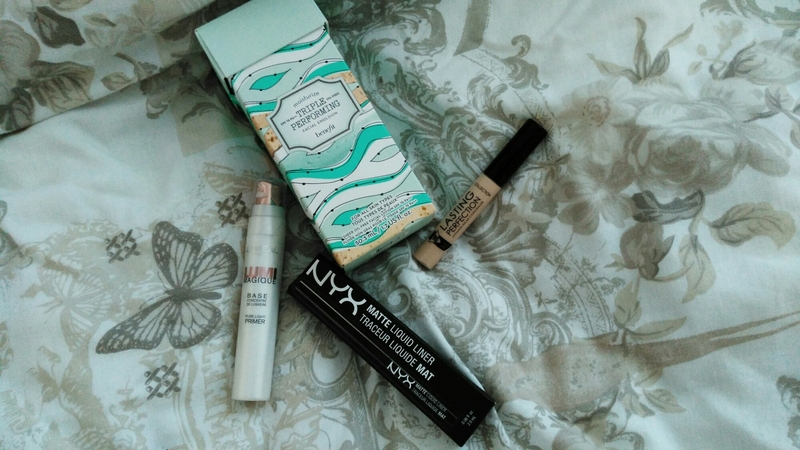 I literally thanked the foundation gods when I had this on…. just wow! The texture to this foundation is sort of a mixture , I don’t find it at all overly thick but it isn’t liquidy either, putting on the back of my hand it doesn’t run right away but there is a budge which I like because it lets me work with the product and place more on where I feel I need it. 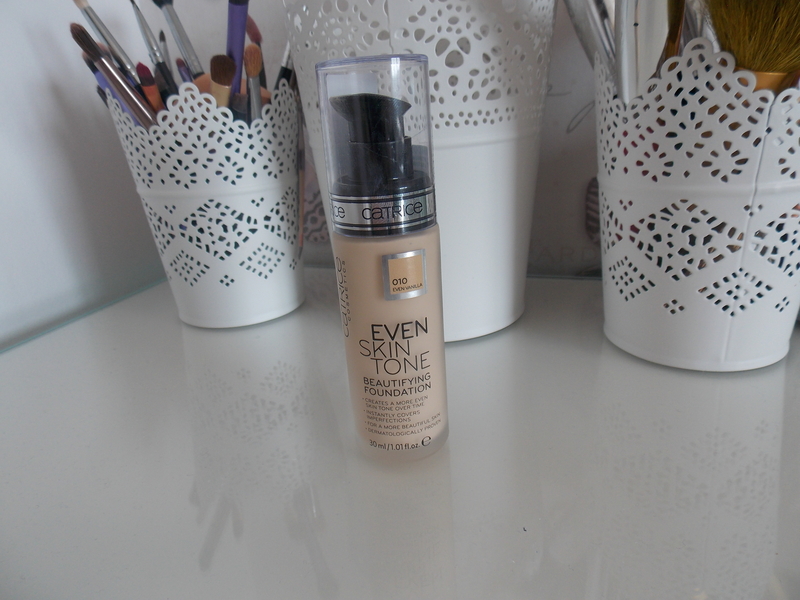 Its a thin texture which is strange for its full coverage but Its one of the features of this product I adore. Who doesn’t love looking flawless and feeling like they aren’t wearing any makeup? Another one of the great things about this product is its price, for something that feels so high end and so expensive on the skin this retails for an amazing €12.29 , I actually picked up 2 because L’Oreal had an offer on (The Offer is still available to people in Ireland I’m not too sure about the UK) that you could get 2 products for €18! Onto the most important question….How long does it last? I can honestly say that the 24 hour mark on this foundation is without a doubt the truth! I put this foundation on at 4pm I then went to one of my friends parties and went for a few drinks and didn’t come home until 4am! a full 12 hours later and my foundation was as perfect as it was the minute I placed it on my face! amazing! This is a picture of the foundation along with powder, contour , blush , bronzer the whole Shabang! It completely covered any imperfections and I felt like I didn’t need much concealer in the end because it did such a great job, I literally just highlighted my face and off I went! I hope you enjoyed this indepth review guys. I really wanted to take my time and write down my thoughts! This foundation has actually passed the Bourjois Healthy Mix foundation that used to be my holy grail I wrote about the Bourjois Foundation HERE . 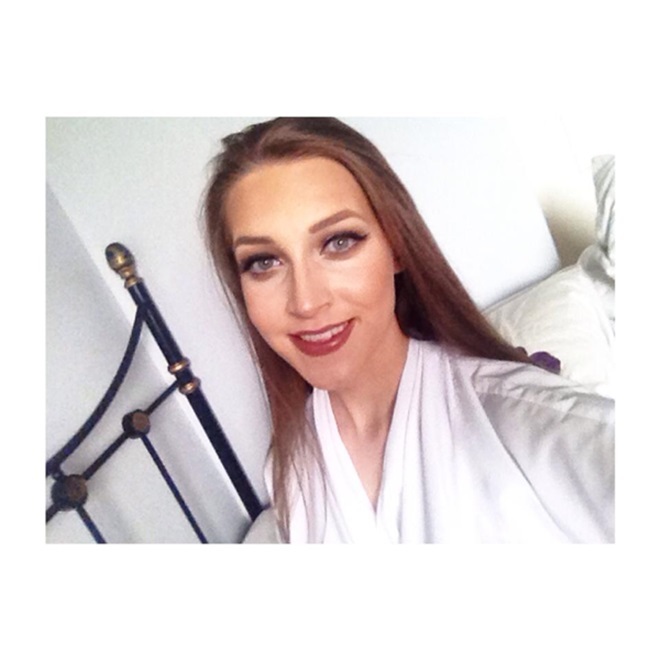 Thanks so much for reading , you can follow me on Twitter and Instragram and Subcribe to my on Youtube to see what I get up to on days when I don’t blog.